From Wikipedia: "VIX is a trademarked ticker symbol for the Chicago Board Options Exchange Market Volatility Index, a popular measure of the implied volatility of S&P 500 index options. Often referred to as the fear index or the fear gauge, it represents one measure of the market's expectation of stock market volatility over the next 30 day period. Here's what happened, apparently: Janet Yellen is the head of the Fed, right? At the last FOMC meeting, Yellen described the latest inflation data as "noisy" and that single word made the VIX collapse. I can't even imagine what it's like to have that much power. Because, you know, I'm an illustrator. 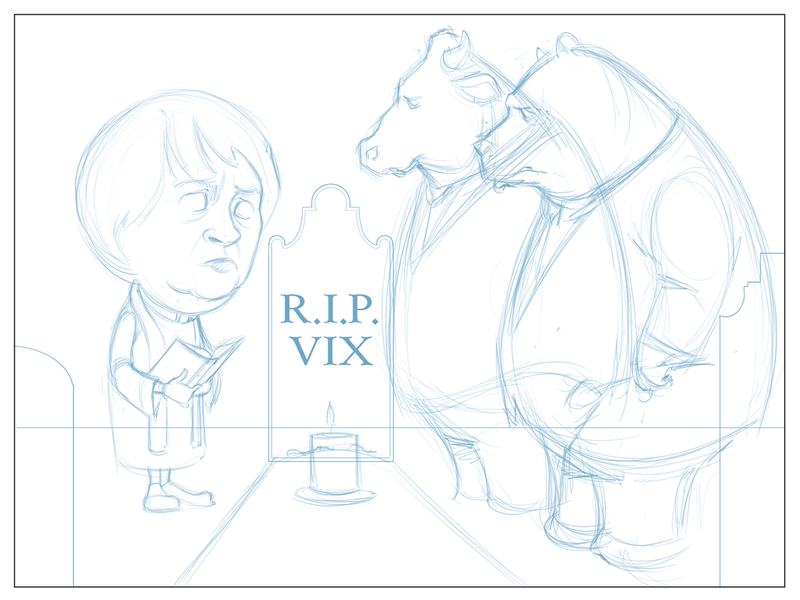 Anyhoo, in response to this incident, I was asked to draw Janet Yellen dressed as a priest presiding over a funeral for the Vix with the bear and bull in attendence. Want to hear something surprising? I'm actually satisfied with the drawing on this comic. It was the usual short-deadline scramble, but I think it turned out pretty well. 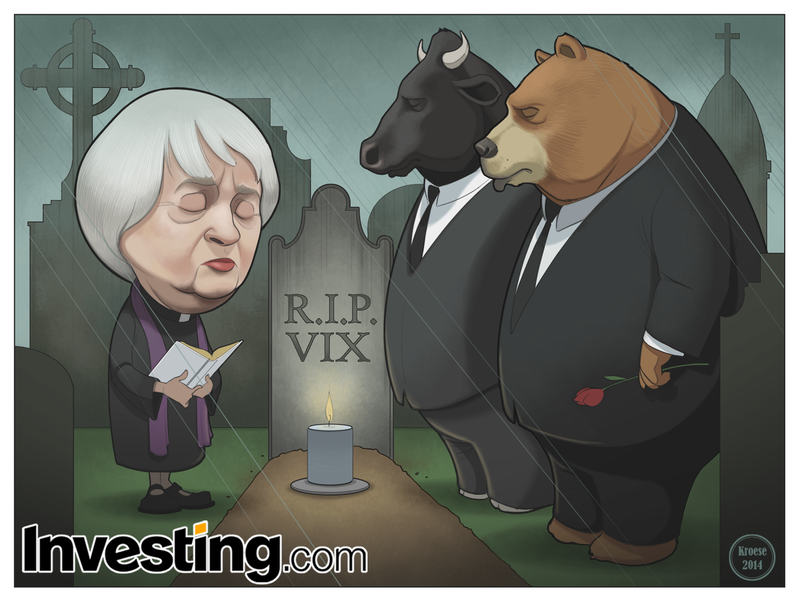 I'm happy with Yellen's face (her features are fun to draw), I'm more or less ok with the bear and bull, and I like the background. The composition is satisfactory. And I added a few minor details that I think help the overall feel (the rain and the candle). I'm not going to spend any more time dissecting this one or pontificating on anything. I like it. Enough said.